There is no automotive event in the world which is so successfully mixing cosplay drama and classic racers from the glory years of motorsports. Welcome at Goodwood Revival 2016. The fact that almost everything is period-correct turn this event into a lovely celebration of British post-war motoring culture with well-defined scent of Le Mans racing. It can’t be artsier than this, so we are filing Goodwood Revival under the tag of car art. And it delivers. RAC TT is home to the world`s most expensive grid with about $200 million worth of closed-cockpit GT racers from the early to mid 60`s, including the one of its kind Ferrari 250 GTO Breadvan. Kinrara Trophy is a sweet cup of tea by offering competition between Aston Martin DB4 and Jaguar E-Type. It can’t be more British than this, isn’t it? Last but not least is the Freddie March Spirit of Aviation display that takes in aircraft of all types from the period of Goodwood`s operation as an airport. Goodwood Revival is offering so much that anyone with the car art bug may see it differently. 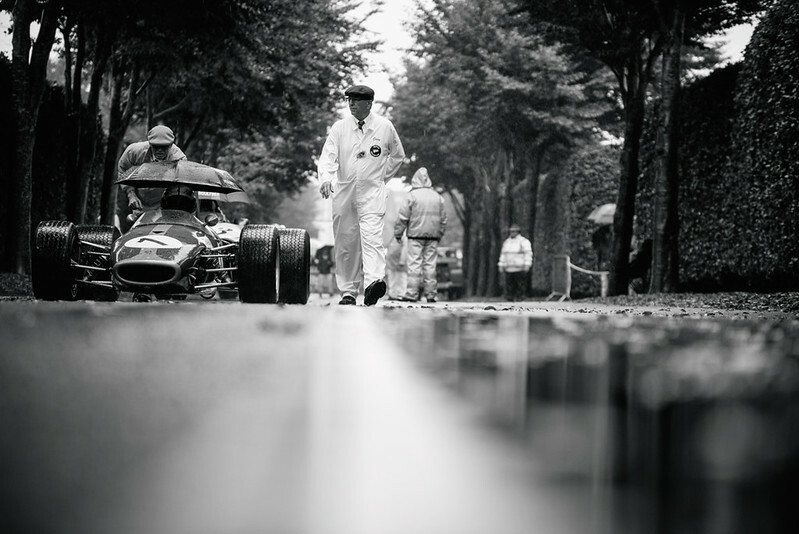 We were intrigued by the perspective of Dave Adams who is sharing some really intimate shots, especially that one with the naked chassis of Jim Clark`s Lotus 49. He is also giving away some great Ferrari stills in his photo album consisted of just 13 shots.